Make your community projects a success through New Orleans Harley-Davidson® in-kind donation. Subscribe to the Ultimate Donations newsletter. I agree to the Terms & Conditions for Use and the Privacy & Security Policy for Ultimate Donations. 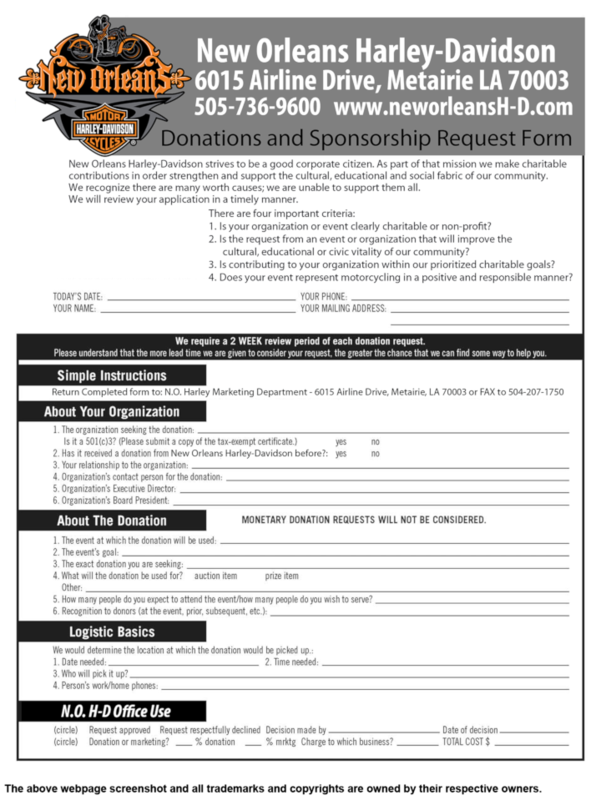 Read more about how your organization can qualify for and use a donation from New Orleans Harley-Davidson, or click here to find and solicit more donors like them! See their website for more detailed information. 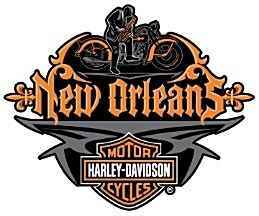 New Orleans Harley-Davidson strives to be a good corporate citizen. It is part of their mission to support and to make contributions to non-profit organizations that strengthen the social, educational, and cultural fabric of the community they serve. Is your organization or event clearly non-profit or charitable? Is your request coming from an organization which will improve the educational, cultural or civic vitality of this community? Does contributing to your organization touch on our prioritized areas of concern? Download their donation request form and fill it up with needed information, submit it via fax or in person. The form must be submitted at least 45 days prior to the event. © 2015 UltimateDonations.org™. All rights reserved. Certain activities, services, and products provided via this website may be covered by U.S. Patents. All trademarks and copyrights on this page are owned by their respective owners.